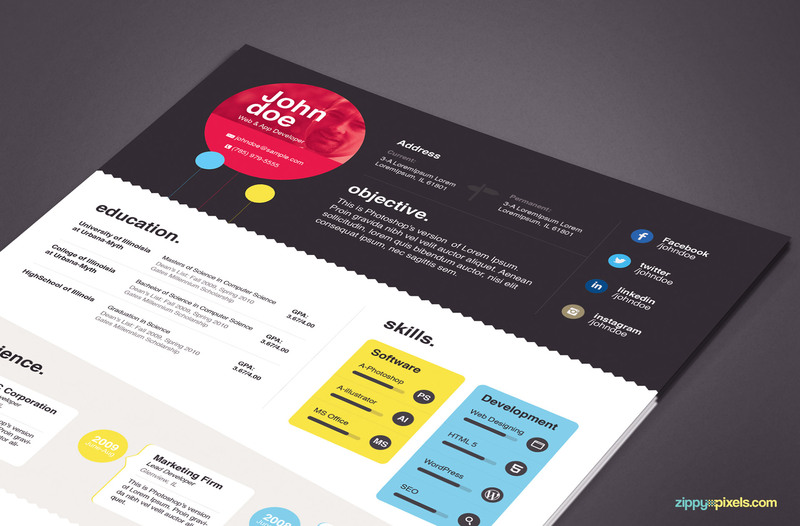 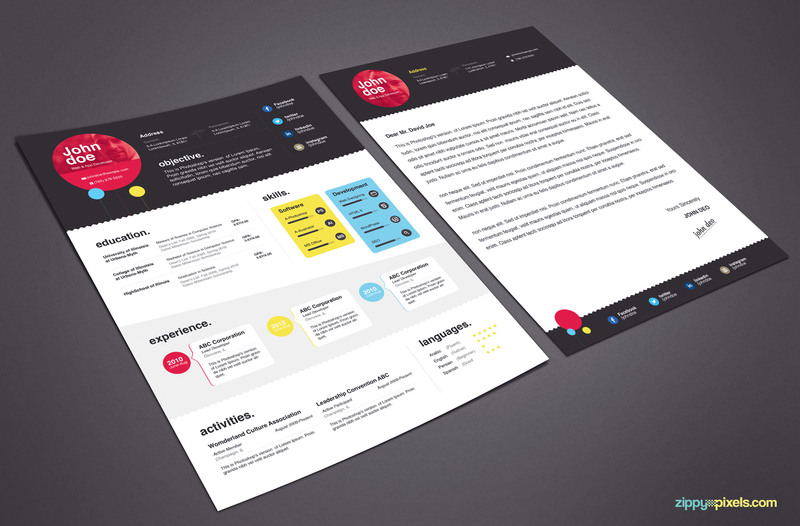 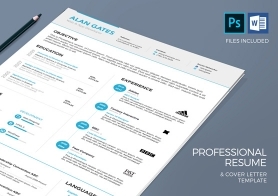 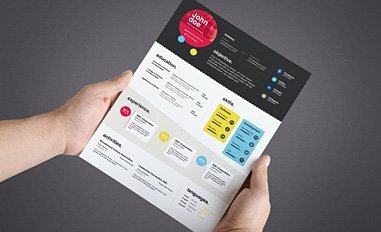 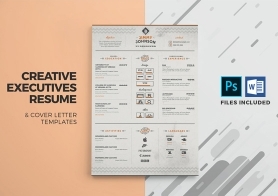 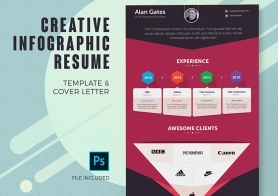 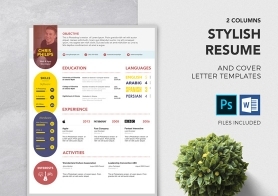 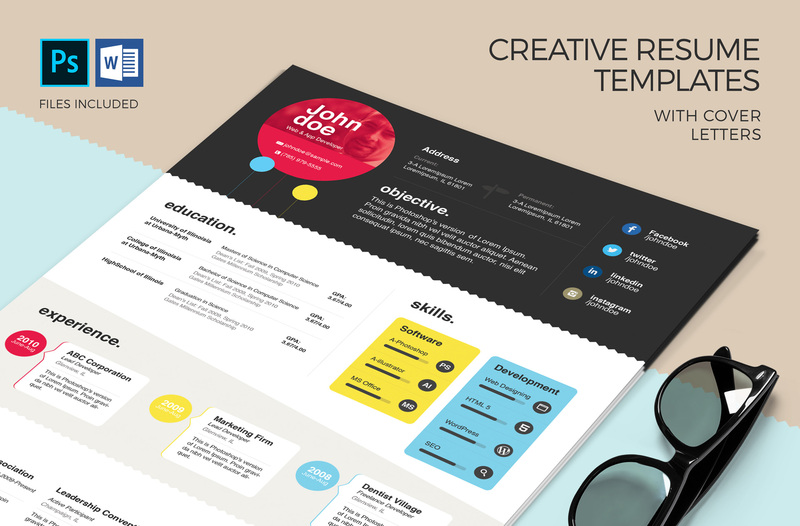 Professional PSD & MS Word Resume & Cover Letter template for creatives, designers & web developers. 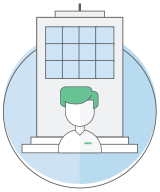 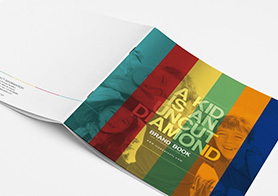 It has a compact and simple design with right amount of creative touch. 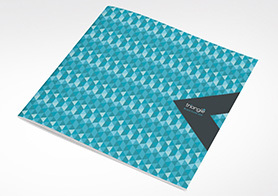 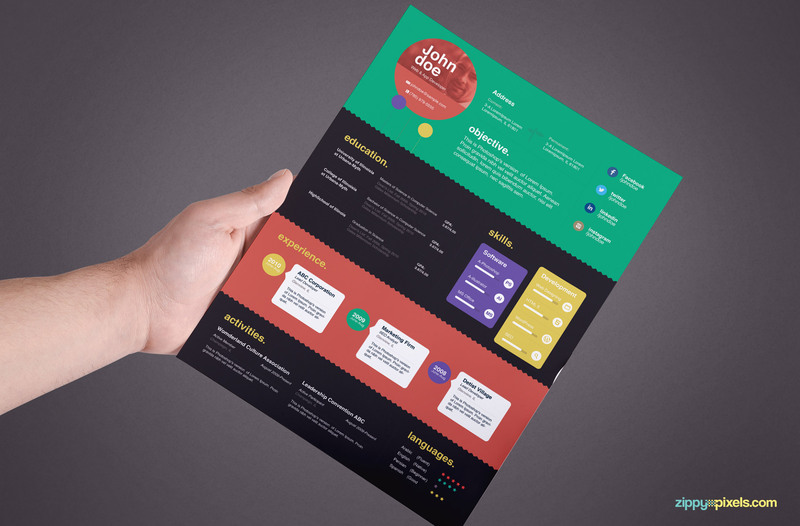 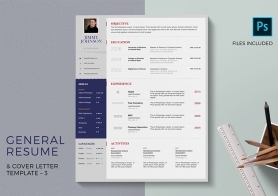 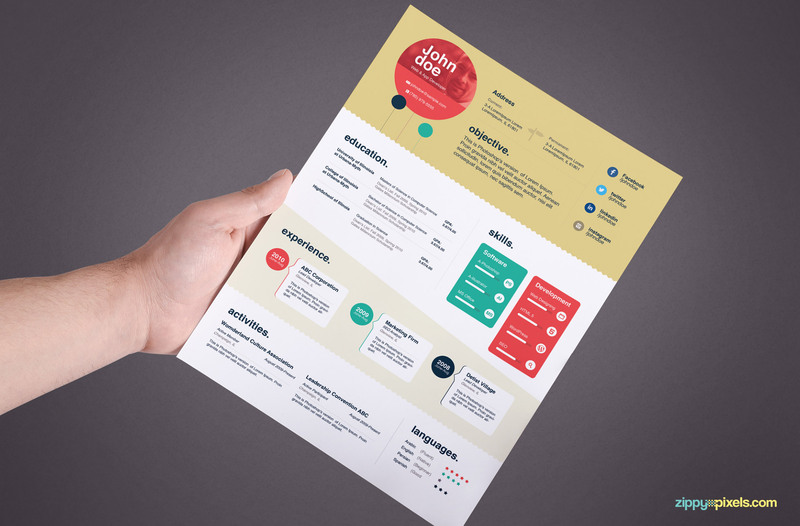 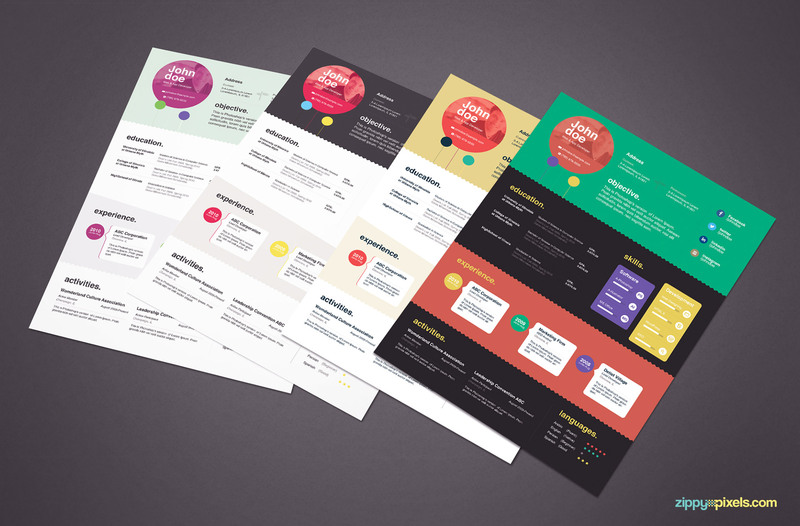 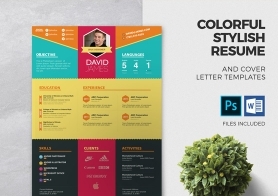 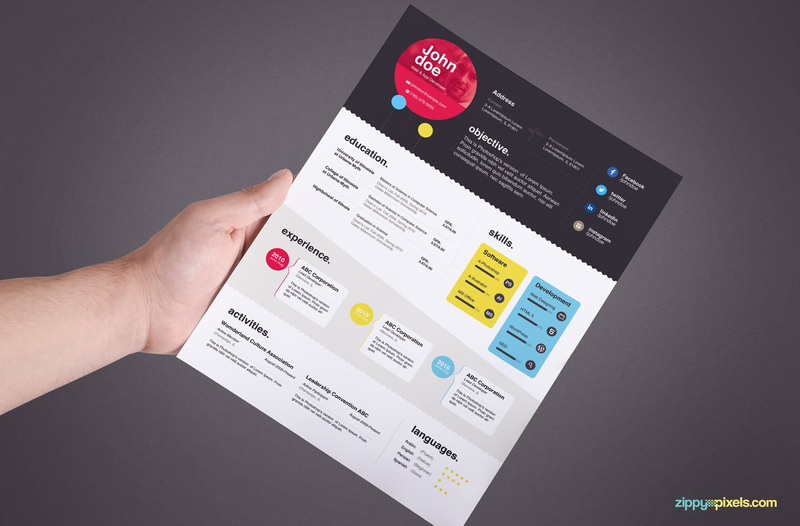 This volume contains 4 beautiful color variants of resume and cover letter set. 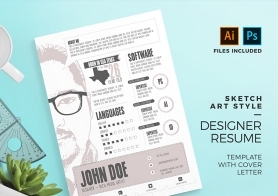 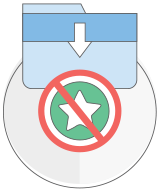 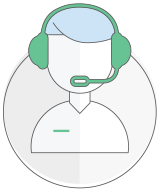 You can show your education, professional expertise, skills, experience and social activities in this creative design filled with various icons, skill bars and star ratings. 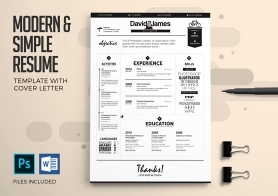 Available in user friendly Microsoft Word version and designers' favorite Photoshop version.